And as with anything digital, it is ever evolving. The role of the chief marketing officer (CMO) has, of course, evolved with that shift, commanding huge obligations, demanding skill sets, and new challenges. As a result, good CMOs are hard to come by, and turnover rates for CMOs are higher than other C-suiters. When you understand the changes taking place and the new demands that are being put on today’s CMOs, it’s not hard to understand why. 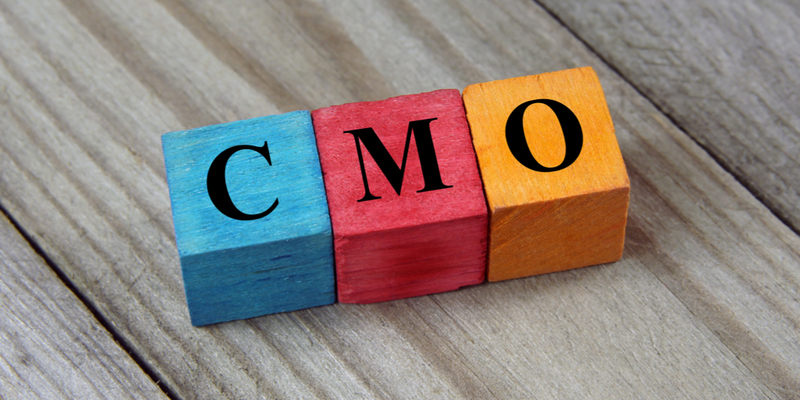 No longer a narrowly defined role, the CMO must now go well beyond brand management, advertising, and market research. There is now the added task of being able to grasp and juggle not only traditional marketing but also a slew of new technologies, data and analytics, shopping channels, and user-generated content, all for an entirely different type of consumer. Let’s look at these added roles in more detail. There has been a massive shift in the way consumers make purchases in today’s market in that they prefer to first research products and services online to compare their options. In many cases, they walk into a store or visit a website already knowing the exact brand they want to purchase. That means CMOs need to ensure their company shows up in their search results and wins them over once they click through. The CMO of today has to stay relevant and be fluent in a plethora of different collaborative, marketing and analytics software. That’s no small feat when you consider everything that includes, such as CRM software, digital media, social media performance analytics, content creation software, data management software, email marketing software, and SEO tools that change when the wind blows. The CMO must lead the company’s entire digital landscape and comfortably measure the effectiveness of each marketing tactic. These days, we can shop in a number of ways, and we often integrate those methods. We might search for a product online, test it out in a physical store, feel out how great it is through social media, and order it on our phone with a coupon code. The CMO needs to work together with multiple internal departments to make sure all of it is consistent and flows into one seamless shopping experience. Blogs, YouTube, forums, social media, Wikipedia, and other user-generated content is certainly an opportunity to market your product through other channels, and with consumers trusting the information on these sites more than push marketing, it’s an important avenue to include in your marketing strategy. On the other hand, it can cause major PR issues when negative information is published on these sites, especially when it is meant as an attack. The CMO must navigate this tricky road to gain positive marketing exposure through user-generated content even at times when it can feel like the company is taking a beating. It’s all in the way it is handled. In today’s market, there are so many different channels we are marketing to that it is especially important to ensure your brand is cohesive throughout. This includes maintaining a brand story across all points of content and handling user-generated content as an extension of your brand as well. Maintaining a strong brand identity in the digital age is quite the task, and, of course, it also falls on the CMO. Findings from a recent TINYpulse survey titled What Leaders Need To Know About Remote Workers demonstrated that people who work remotely are happier in their jobs because they enjoy the freedom and flexibility that go along with it. Remote work is the perfect solution for marketing in today’s world since most of the job responsibilities of digital marketers don’t require a physical presence. Ten to fifteen years ago, remote work tended to be less productive, but with the technology of today, it’s a different story. We now have faster internet speeds, collaboration software, video conferencing, instant messaging, and document-sharing technology that makes remote marketing work a cinch, not to mention that most software systems used by companies these days are web-based. When you can choose your talent from all over the country or even anywhere in the world, you open yourself up to a much broader selection of candidates. That offers the company huge opportunities for growth. But Can Remote Work Really Work For CMOs? In addition to now having a much wider variety of responsibilities, CMOs are also evolving in how they work (i.e., remotely). It’s probably not effective for CMOs to work remotely 100% of the time since being hands-on and monitoring the pulse of the team is such an important part of a CMO’s job. If the marketing team is mostly in the office, then the CMO needs to be there as well to maintain productivity and morale. But if the CMO is running a team of remote marketers, it isn’t as important to be in office. CMOs who get a handle on all of the time-sucking things that get in the way of their productivity are also more likely to work remotely. For example, being copied on every correspondence taking place in the marketing department is inefficient, while having one person email you a summary of the important stuff is efficient. It’s absolutely crucial that companies hire the right CMO. The success of the company rides on it, especially with the challenging role that today’s CMO must play. In a 2015 study called Inside the Mind of the Chief Marketing Officer, CMOs were found to be 49% more imaginative, 33% more unconventional, and 32% more likely to take initiative and test limits. These are the qualities that move a company forward. The best CMOs are strategic and base their decisions on large amounts of data. That means they must be able to take their unconventional nature and balance it with an ability to analyze information. In addition, they are able to adapt their strategy based on what the data is telling them. It also means that challenges are viewed as opportunities. It is the combination of these traits that creates a robust and achievable growth strategy. The results from The CMO Study revealed that the number one trait of an effective CMO is the ability to be the voice of the customer at the leadership table. That means being able to offer customer insights from many different views, all of which must be based on research and data. According to the study, being that voice includes understanding customer needs, journey and purchase experiences, usage experiences, retention and referral behaviors, and the value of different customers, as well as having a grasp on the competition from the customer’s point of view. Today’s consumer is complex, and it takes a firm understanding of them to win them over. Though there aren’t many people who can fulfill the challenging role of CMO these days, the growth of remote marketers certainly makes the task easier since most companies aren’t limited to talent by location. And when it comes down to it, there really isn’t any one person who can achieve all the demands placed on the CMO. The best CMOs know their strengths, and they are able to delegate everything that falls outside of those strengths. Choose your CMO according to their overall personality traits, ensuring they are innovative, unconventional, strategic, and adaptable. Make sure they understand your customer intimately and that they can lead your marketing team to carry out a complex marketing strategy. Then, let them work their magic.